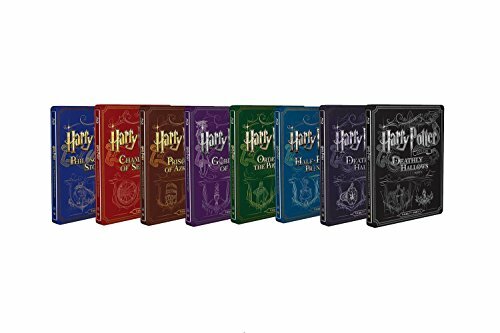 COMPLETE HARRY POTTER COLLECTION in STEELBOOK format!! Each movie has 2 blu-ray discs for a total of 16 discs in 8 steelbooks!! ITALIAN REGION-FREE STEELBOOKS with beautiful EMBOSSING! !